It's my opinion that science fiction and fantasy have had a significant impact on society beyond just entertainment. We see various ideologies of societies being reflected in these works of fiction along with other human, moral or social dilemmas.In a sense, I think art and life influence each other. As an illustrator, I'm often inspired and influenced by the books I read. 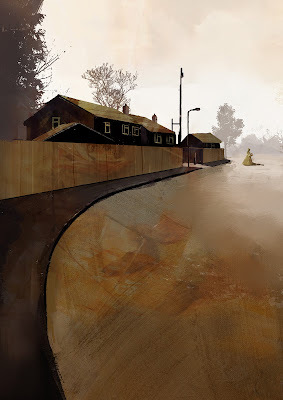 I make an effort to see the underlying themes and thoughts of the writer, and see if I can learn from them and add further philosophical or sociological depth/intrigue to my illustrations. Here are some of my thoughts on the books I've read in the last month or so. 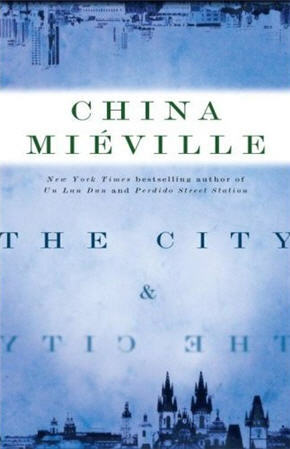 The City and the City: My first China Miéville novel and it's mightily impressive. Very pulpy and dare I say, very classy , the story is based around two really bizarre cities, with political and social intrigue. The cities are incredibly fascinating. The backdrop is possibly a commentary on the minds of the common people, more so than a commentary on the people in power. The common folk feel that their national borders are being encroached and threatened. It's interesting that Mieville managed to convey the sense of xenophobia, without evoking a religious,nationalistic or a cultural plot device. Very existential in nature, it has got one of my favorite chase sequences in fiction. I wonder if Miéville was being cynical about the irrationality of xenophobia as well as the fear in an absolute authority. It's sufficiently interpretative and I like that. I might be inspired to work on an environment with two distinctly separate architectural designs and somehow make it appear coherent. The chase sequence would be interesting to illustrate as well . 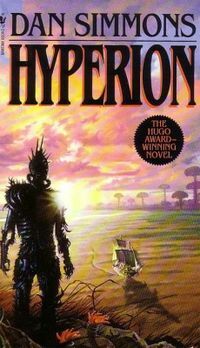 Hyperion: Dan Simmon's Hyperion is very much a study of characters and an analysis of emotions and actions of humans. It's wonderfully written in a frame structure, and you get to care about all the characters who are set in very different worlds. A combination of noir, fantasy, science fiction, detective narratives slowly unfurls the plot without over complicating things unlike its sequel, 'The Fall of Hyperion'. It could be argued that this was an occasion where the mystery (concerning the planet Hyperion and the Shrike) was better left unsolved, more so because it's the characters who drive the story. Having a back story behind characters is always nice for character designers or illustrators, and there are plenty of characters here to draw inspiration from. Incidentally, this saga was influenced by John Keat's poetry. The Foundation Series: A tale that chronicles nearly five hundred years sometime in the distant future, it's centered around a fictitional science called 'psychohistory'. which combines history, sociology and statistics to make general predictions about the behavior of large groups of people well into the future. It is said that Asimov was inspired by the History of the Roman Empire, its decline and its fall. You can certainly see the influence, particularly around the dramatic vignettes concerning the planet Trantor. It's an incredibly imaginative tale, even if some of the characters are cardboard cut-outs. 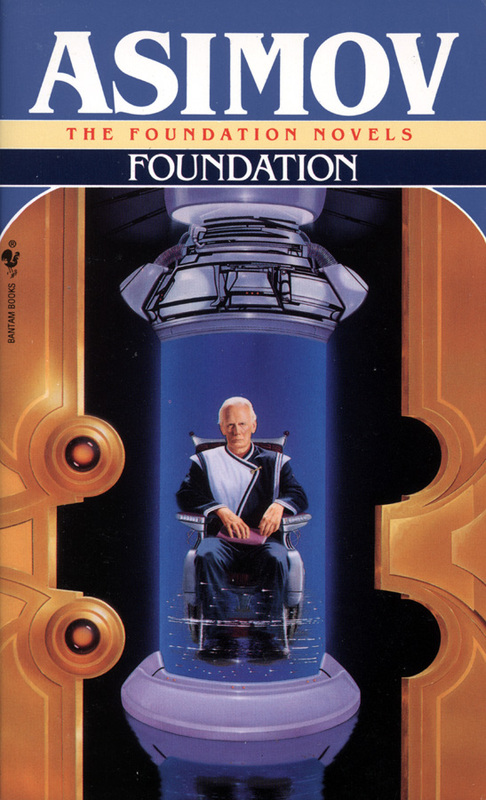 In the later books in the series, (which I feel weren't as terrible as some have said) you get a glimpse into Asimov's philosophical musings in his later years, which I thought was interesting. I like the fact that while science is the hope of human civilization in the series , it's not all glam, glitter or mindless explosions but an interplay of mathematics, sociology, psychology and such. That, indeed, makes it not such a light reading exercise, but is intellectually stimulation. I think this series would be a really good reference(and an interesting exercise) for those science fiction illustrators who want to portray something innovative/futuristic subliminally, without resorting to something extravagant. Septimus Heap: One of the lighter books I've read recently. It's certainly one of the better fantasy book series out there and is deeply layered. 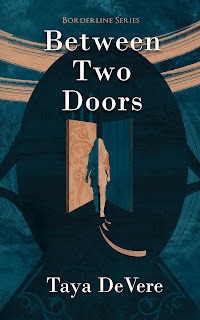 It's difficult to write a children's fantasy series in the wake of Harry Potter, but Angie Sage has put together a clean, crisp and an enjoyable series. It's quirky and the characters are very engaging and rich. Consider Phlebas: Here's another instance of a poet influencing a novelist. There are a number of parallels between Iain M. Banks' Consider Phlebas and T.S Elliot's The Waste Land. As to whether they are deliberate or not, I'm not entirely sure. T. S. Eliot and Iain M. Banks are pretty much polar opposites. The former, a right-wing literary poet, and a self proclaimed 'anglo-catholic', the latter a left-wing novelist, and an atheist. This is the first book in Iain M Banks' Culture Saga. It is an interesting insight into a post-scarcity,anarchist and a utopian society. I like the fact that characters aren't described objectively and not pigeon holed into good/bad people, and that the main focus is on a conflict between ideologies, each convinced that it is operating in the best interests of the galaxy. The prose is very readable and evocative. It isn't as refined as Hyperion, but then it didn't need to be. The scope of this series is quite vast, and you're left with very vivid imagery, both ideologically and visually. 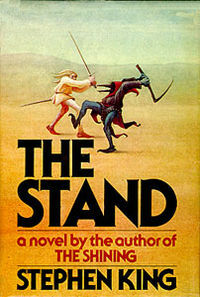 The Stand: I have to say that this is the 'Lost' of post apocalyptic novels. Memorable(though sometimes overused) characters, intriguing dialogue and character storylines but with very little pay off at the end where the plot devices are either over explained or not explained enough. If you like Stephen King, you'll probably end up loving this. There are quite a few character scenarios, ( A deaf mute trying to communicate with a retard who can't read or write) that would be interesting to explore visually. I don't hate Stephen King per se, I'm just often let down. 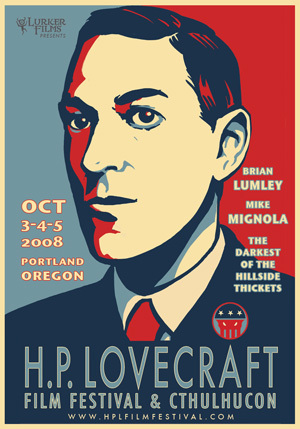 H.P Lovecraft: Not much I can say about this misanthrope materialist that hasn't been said already. Very absurdist and very dire in the tone, the short stories are enjoyable, especially if you have a contempt of the world around you. It's bit of a hit and miss with his stories. Some are really really good, some aren't quite. But, I enjoyed reading them more so than Stephen King's work, because in Lovecraft's weird world, humans rarely are the pinnacle of existence! I really liked the individual reviews. I must admit sci-fi something I have never tried but now I am tempted to.